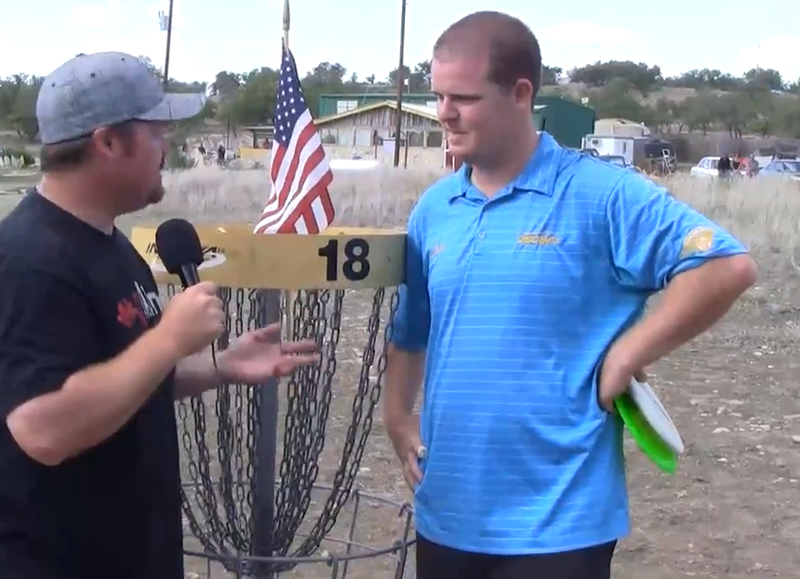 It’s probably one of the most asked questions for professional disc golfers: What’s your pre-round ritual? Everyone wants a glimpse of how these players get their minds and their bodies prepared for an excellent round of golf. I forget when it was, but at some point in the last year I saw current World Champ Nate Doss taping up the index finger on his throwing hand. It wasn’t the strangest thing I’ve seen, but as I started to think back to all the videos and clips I’ve seen of him I realized he always tapes up that finger. What strikes me about this isn’t so much the cause and effect of blister to tape, but the mention of spending, “…hours perfecting the tape job…” The determination of a professional never ceases to amaze me, even down to the most minute detail. It would make sense to slap some tape on a sore finger tip, and it would also make sense that it would effect your game. How many times have we almost slammed our hand in a car door and then thought, “Thank goodness I didn’t hurt my throwing hand!” But the attention to detail and preparation goes a bit beyond common sense. It clearly works for him, and was worth the effort too. You can’t win World Titles or National Tour Events (or even a casual round for that matter!) without being confident in your whole game; driving and putting alike. So maybe I’ll give it a try and tape up my whole hand… of course I’ll spend hours doing it first… how many strokes could this take off my average? ***Pre-Round Rituals: This will hopefully be a recurring theme for Fridays as the season goes on, so please check back and if you’re able to offer some insight on your own pre-round rituals- click on the submit link and share! You don’t have to be on the National Tour to offer a little insight! This entry was posted in Opinions & Technique, Touring Pros and tagged disc, doss, finger, golf, nate, ritual, tape, technique. Bookmark the permalink.